I’m beginning to recognize the Jo Malone signature, and of course this one is not an exception. 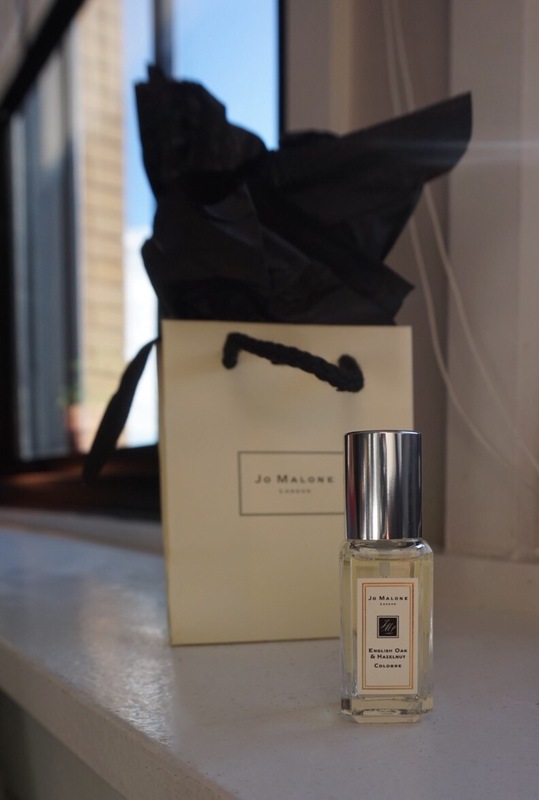 English Oak and Hazelnut (Jo Malone 2017) is fresh, clean, cheerful and bright but elegant. While a citrus note isn’t listed the cedar is especially citrusy and the hazelnut and oak seem to join together in unison to create a starched, woody and yet light and perfectly autumnal scent. Both the cedar and oak are a little pine-like too. Very enjoyable. Top note: hazelnut. Middle note: cedar. Base note: oak.